Dara Bunjon has a passion for food - its origins, preparation and consumption. Her culinary endeavors began as a regular cooking personality on WBAL-TV's early news in Baltimore, President of the Epicurean Club of Maryland and Marketing and Public Relations Director for Vanns Spices. You will now find Dara applying her broad range of culinary skills as a food stylist for chefs and cookbook authors, implementing public relations and marketing activities for restaurateurs and food related businesses and planning culinary events. 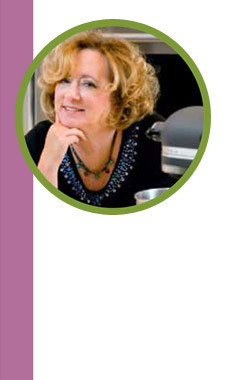 She is also a contributing writer to Foodservice Monthly and Examiner.com. In the past she has written for Style Magazine, Mid-Atlantic Restaurant Digest, Urbanite and other sundry publications. Since 2004 she has maintained an award-winning food related blog called Dining Dish. She co-authored her first cookbook Yum! Tasty Recipes from Culinary Greats in association with Studio Spear. Dara contributes to the growth of the culinary industry as a board member for the Restaurant Association of Maryland Education Foundation, a mentor to the ProStart culinary team at the Carver Center for the Arts and Technology as well as a member of the national public relations committee for Women Chefs and Restaurateurs.